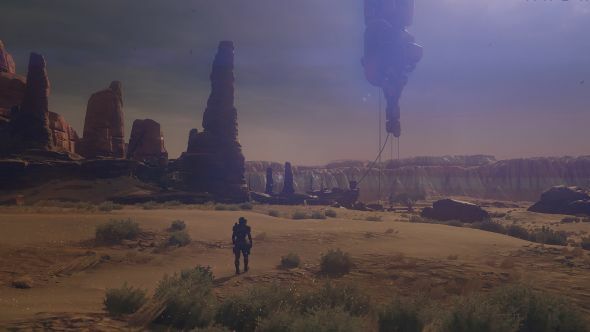 Mass Effect: Andromeda’s creative director Mac Walters has answered a number of community-sourced questions in a new interview on YouTube, courtesy of Game Informer. Which pieces would you mix together from the best RPGs on PC? Among the bigger tidbits are that BioWare “very much think of Andromeda as a series. What we do with that series is TBD at this point,” says Walters. So Andromeda is not a focused trilogy, but, as we’ve heard before, there will almost certainly be further, more loosely connected games set in the same galaxy. “Key elements” such as the Ryders and ‘the Pathfinder(s)’ will appear in some form in the next game. Perhaps we’re going to get more of that awkward title-based referencing of earlier characters in the style of ‘The Hero of Ferelden’. Other new information suggests design tips will be taken from several games, including Dragon Age: Inquisition and The Witcher 3, particularly with respect to balancing quest density and integration. Each planet will have a unique story, with many side quests intertwining through it and/or the main narrative. Planets will also have their own character, with zones varying in size depending on whether you’re intended to use the Nomad or explore on foot, and some emphasising gameplay while others are more about story. We also learn that the state of the Krogan genophage will be addressed in Andromeda, that exploration is at the core of the game and thus the stakes aren’t as high as in the time-pressured Reaper plot, and that production is currently in the “polish and balance” phase. The PC version will have native controller support. And no, they’re not talking about the Quarians just yet. The video is worth a watch, but you can also find a point-by-point breakdown on NeoGAF.